Exams » Medical » How To Score 90 In Biology NEET 2018? 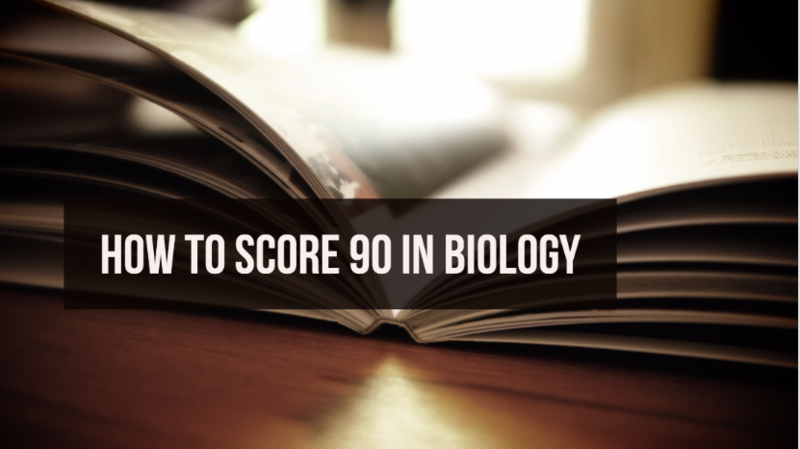 How To Score 90 In Biology NEET 2018? After much studying, many classes, and hard work, students are often seen complaining about not scoring marks up to their expectations. Overconfidence, lack of interest, inability to manage time or any other reason could be the cause of that. A lot of time and money is spent every year by these students looking for a way out of insufficient marks and dissatisfied performance. Surviving the paper is all well and good but to triumph over it is a different story altogether. There are many factors that come into play in order to score 90+ in NEET Biology. Let’s take a look at the crucially significant ones. Plan to divide your time and tasks equally. You must know for each section of the exam how much time you require based on weightage and difficulty level. To know this you need to know the entire syllabus for NEET according to Class XI and XII. For scoring well in exams, the first thing you will need to learn is, how to manage your time. If you go through the NEET exam pattern, you will realize that to crack them you are required to be fast and accurate. Avoid wasting time especially during the exam for this you need to practice diligently and make yourself thorough in each chapter of all the subjects by giving regular mock tests. Also, take a look at The Best Books for NEET to give your preparations that extra edge. can we score all the 90 questions of biology if we are good with ncert ? You can if you are thorough with the concepts.